It's not hung on the axle with a stay near the pivot of the swingarm? The caliper is hung on the axle and the torque arm bolts to the frame, so the caliper pivots on the axle with the swingarm moves. Usually the torque arm is mounted directly to the swing-arm so it doesn't have to pivot, which is what i think I will do. easier to weld a mount than machine a bunch of parts. I still cant figure out why they would design it like this. Perhaps is a suspension loading thing. Seems odd for sure. Maybe it increases braking as the bike sags with stop. Funny thing, though: It's a stay if it's mounted on the swing arm. It's a torque arm if it's mounted to the frame. Floating calipers are the bees knees because they separate the forces of suspension and braking. It's a common modification on race bikes and rare on street bikes. I don't remember seeing that on any street bikes, so yours may have been modified. I just remembered. 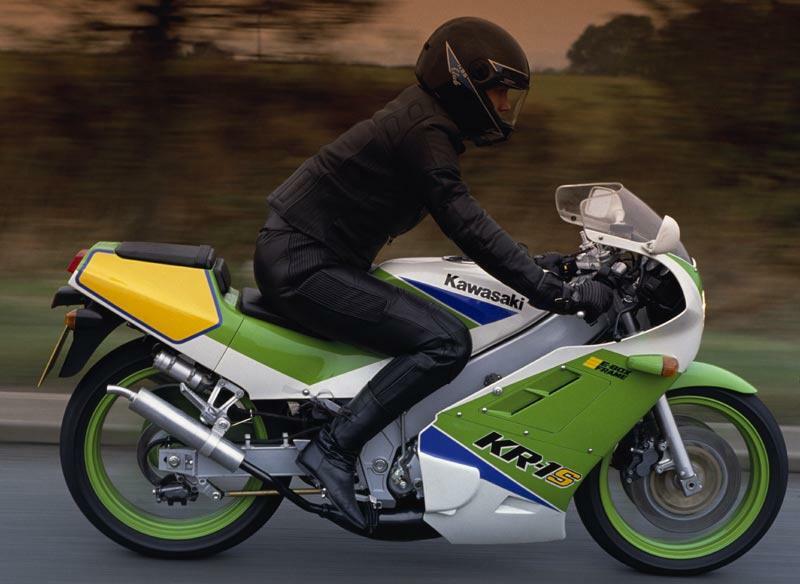 KR1S Kawasaki is like that. I don't remember seeing that on any street bikes, so yours may have been modified. My ‘89 Gsxr750 had the same setup. Definitely came from the factory that way. I think all the oil-cooled Gsxr750/1100’s are like that. I don't have any pics because its disassembled right now. here are some examples. Not mine as I sold mine a few years ago. You can see the access hole in the frame about 4” below the swingarm pivot bolt. I had forgotten that they were floating.